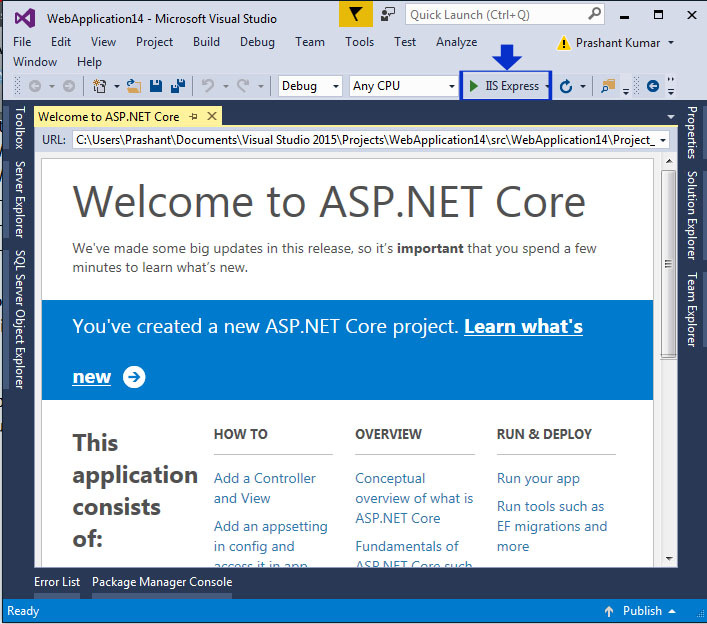 I know you are you excited to make your first asp.net core project. 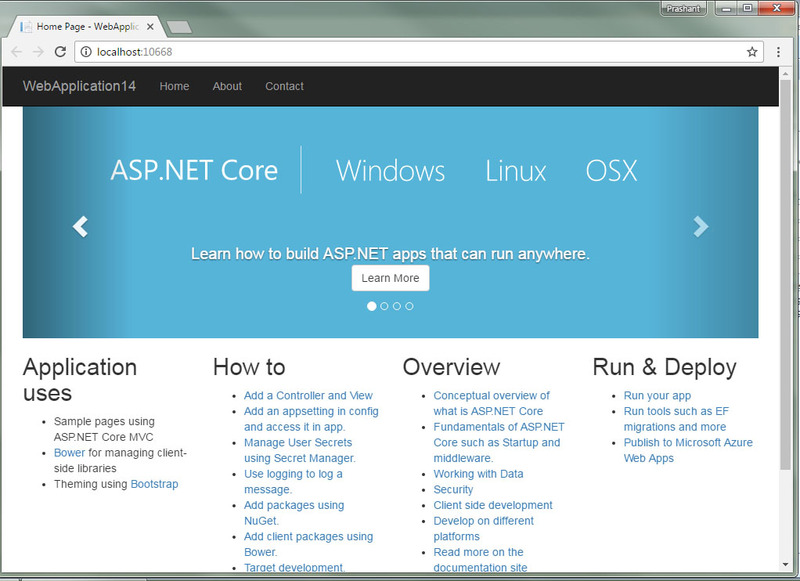 This article will explain you and guide you to make your first web apps in core technology. It will be surely amazing experience for you and within few days you will be master in Core Technology. 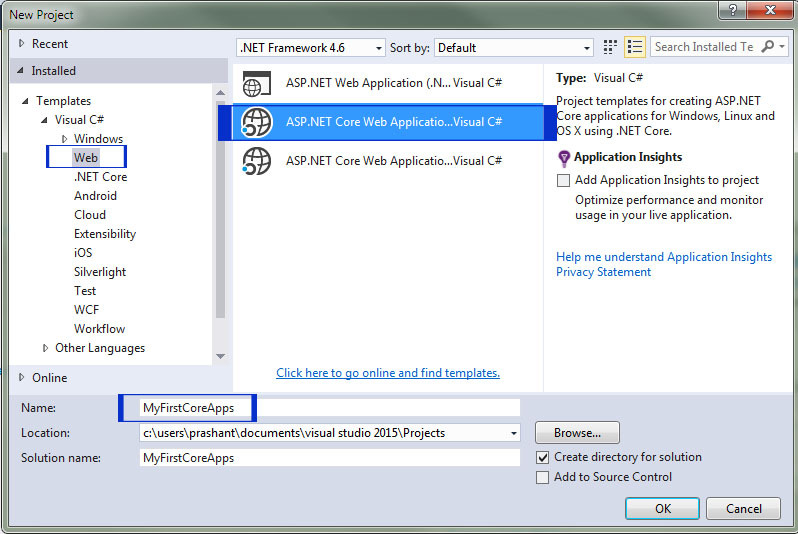 So, let’s start to your first web apps in core technology. Select Web in left pane. 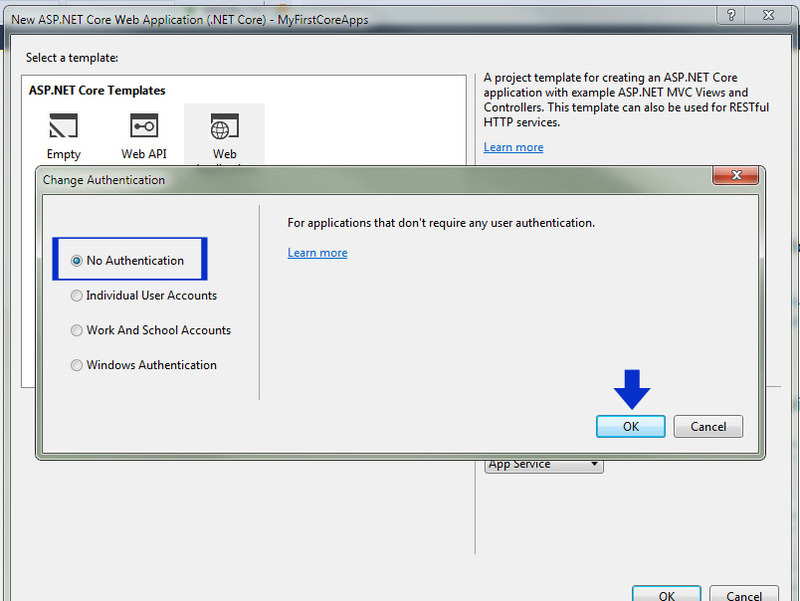 Then select ASP.NET Core Web Application (.Net Core). Edit the Project Name and click OK.
A template window will open. 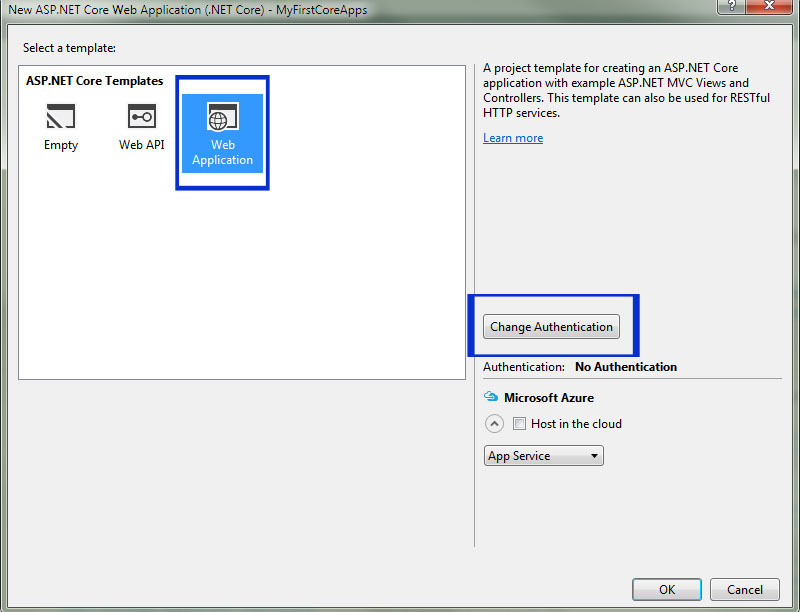 Select Web Application as template and click on Change Authentication Button. Select No Authentication and click OK. 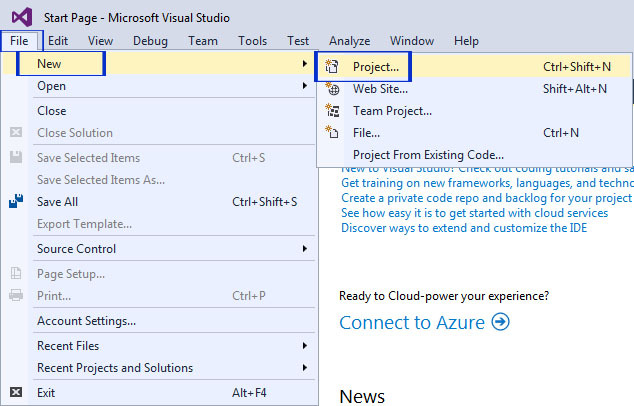 Your Project will open in Visual Studio. Click on IIS Express Debug button to run your application. Output will be open in browser window as follow. A big congratulation to you if you have done this steps successfully. Doing this means you have crossed your half way. I repeat you have crossed your half way. You must be thinking following questions in your mind. Where to edit HTML and CSS file? Where to write C# logic? How to add extra pages? How to design your site in your way? How to add CSS Template? Etc.